This has it all - Jess Thomas is the very epitome of a Heldentenor singer and is at his peak here in 1962. Rudolf Kempe conducts a thrilling performance that also features Elisabeth Grümmer and Christa Ludwig. Of course, the topic is subjective. 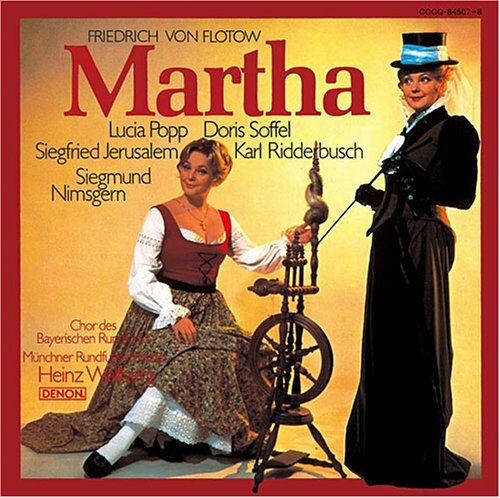 But if I had to choose what I'd consider a "reference" recording, it would be Karl Böhm’s 1965 Die Zauberflöte with the incomparable Fritz Wunderlich as Tamino as well as excellent portrayals by Dietrich Fischer-Dieskau (Papageno), Franz Crass (Sarastro), Roberta Peters (Queen of the Night), and Evelyn Lear (Pamina). That was one of the first opera recordings I ever bought. I had had a rough day at work and needed something to cheer me up. I still have the vinyl set (somewhere in my storage area) but never bought a CD set. Now at the top of my wish list! Come on, Ragsdale! Always room to join in the fun! What are your favorite recordings of the OL top 100 operas?? Do you use Wikipedia as a reference source?